Tickets for the event are priced at £10 each for adults. Kids, 15 and under are FREE when acompanied by a paying adult. We strongly advise purchasing tickets for the event as soon as possible to avoid disappointment as they are limited in number and last year was completely sold out before the day. re-sale tickets may be available on the day, but these will be subject to availablity and can not be gauranteed. Car parking is FREE on the day. There are two public car parks, and the entrance and car park you use will depend on the direction you approach the show from (see below). Parking marshals will be on hand to direct you from the entrance to your space. NOTE: Disabled drivers can approach the show from either direction. 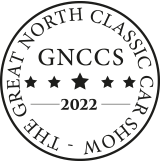 There will be a separate car park for those who arrive in a classic car but are not part of the official show, though this section is entirely voluntary of course. 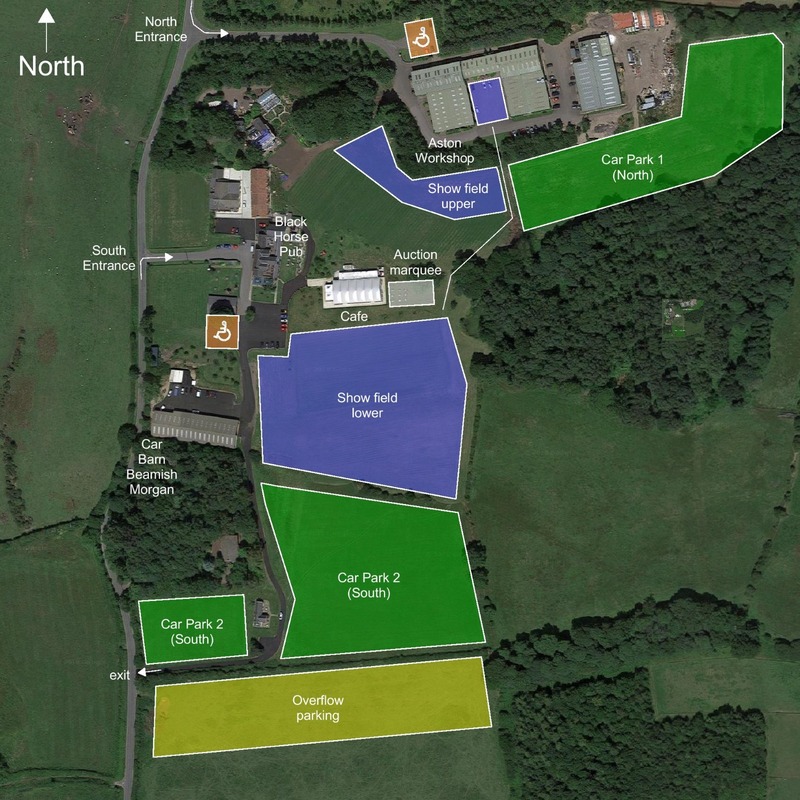 Anyone wishing to use this car park can approach the show from either direction, but you will need to inform the gate marshal at entry so that they can point you in the right direction. Food & drink are available throughout the day from Black Horse Beamish Gastro Pub, or the Orchard Marque, both on-site and both with indoor and outdoor areas. Other food and drink concessions will also be available around the site. Below is a list of accommodation available at nearby hotels, On site accommodation is presently sold out, but in the event that it becomes available before the show, an announcement will be made here and on social media.